Green is my favorite color and I took a little looking to find Pikachu. 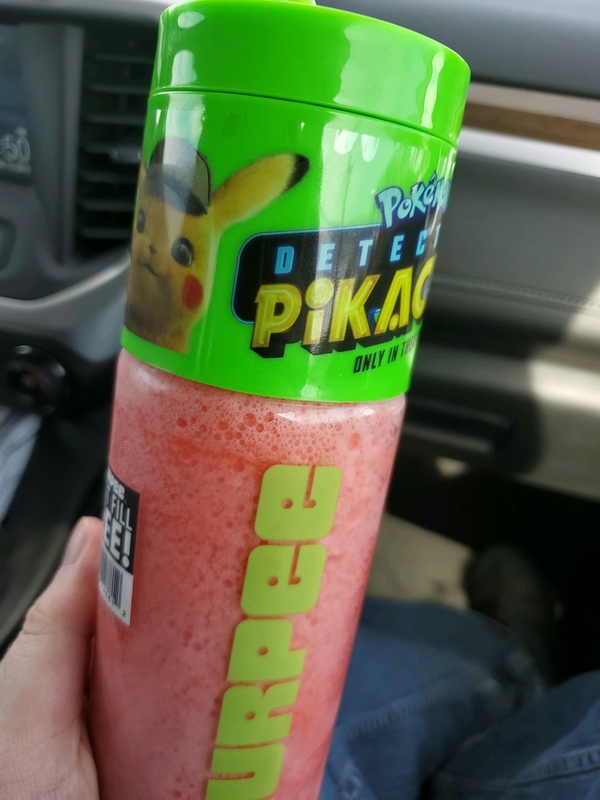 There's 4 colors, Green, Orange, Pink and Blue and each can have either Detective Pikachu, Snubbul, Ludicolo or Psyduck on them. It's possible there may be more though. These are harder plastic bottles and run for $3.99 each. Plus you get a free refill on them! I tried out the Mr. Mime Mystery flavor which...I have no idea what it is. Ground up Mr. Mime maybe? In addition to Slurpees they also have collectible straws at just 99 cents each. I spotted the same group of pokemon, Psyduck, Ludicolo, Snubbul and Detective Pikachu although mine didn't have Pikachu in. These were up by the counter along with the promo packs with coin/ cards too. Over by the coffee (a Hi-Hat Cafe branded one..I didn't try it though) they had "premium" chocolate, I grabbed this Banana one with Pikachu although I saw some others. I didn't check the flavors on them. Additionally, I saw some of the plush on the way out but didn't catch a price. I saw Pikachu and Snubbul although they should match the ones in stores now. 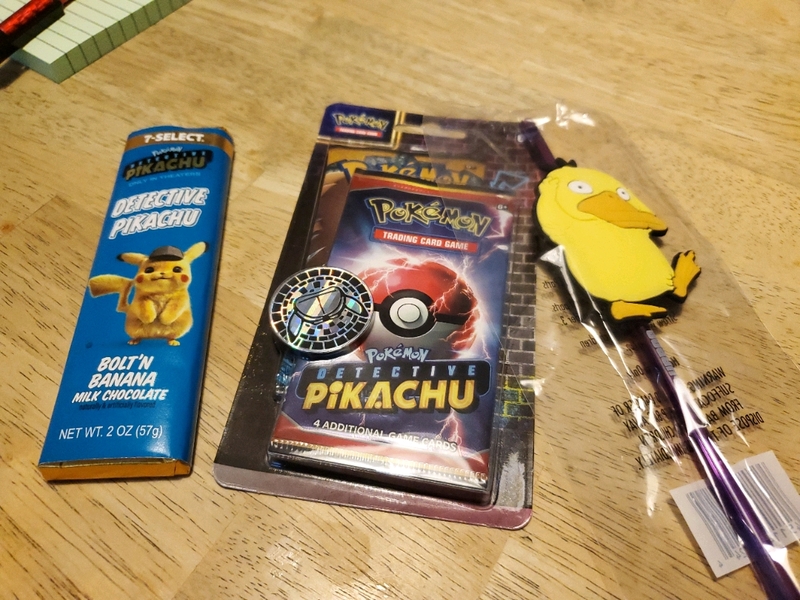 Apparently they also have Pikachu shaped cookies but I didn't see them, along with other Detective Pikachu branded TCG stufff. I'm really surprised they picked 7-11 in the US to carry this stuff, and I hope it spells more promo stuff in the future too. Happy Hunting detectives!